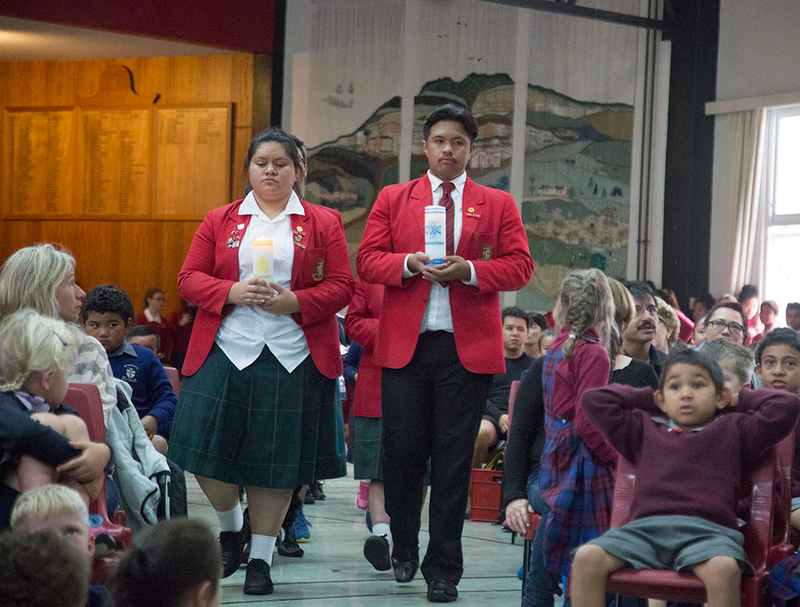 The five Catholic schools in and around Porirua came together to celebrate Catholic Schools Day on 16 May. 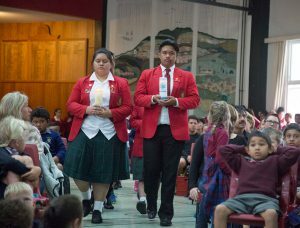 Bishop Viard College hosted St Francis Xavier (Tawa), St Pius X (Titahi Bay), Holy Family (Porirua East) and St Teresa’s School (Plimmerton) for a day of prayer and activities. The day started with close to 600 children joining together in a liturgy, which celebrated the uniqueness of each school. Students from each school led the liturgy in various ways that showcased the talents of all students. Children from each school were then split into four groups to join with Bishop Viard College students in a range of activities. The new school gymnasium was used to good effect for some indoor sports games and Cook Island dancing lessons, while other groups were playing tug-of-war, relays and more on the field. The camaraderie between all students built throughout the day was testament to the true spirit of Catholic Schools Day. Students were able to feel the close bond that is shared as Catholic brothers and sisters despite all attending different schools. Chris Theobald is Principal, Holy Family School, Porirua.